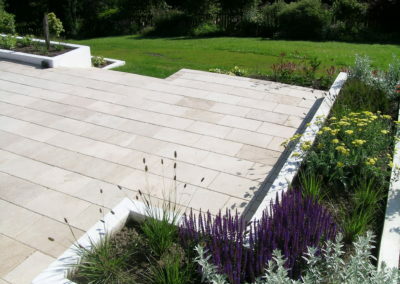 This Glasgow suburban garden is located on a sloping site in a rural area, between Glasgow and East Kilbride. 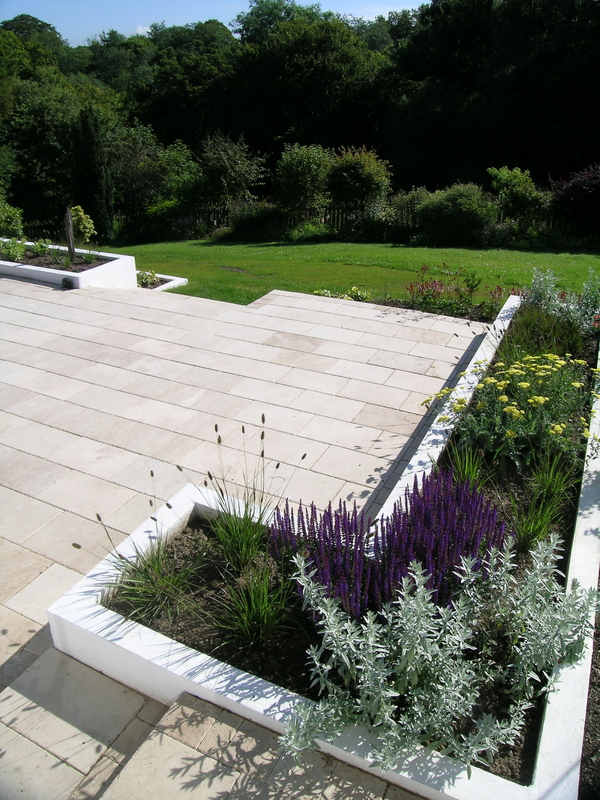 It is layered across a series of raised terraces paved with travertine limestone. 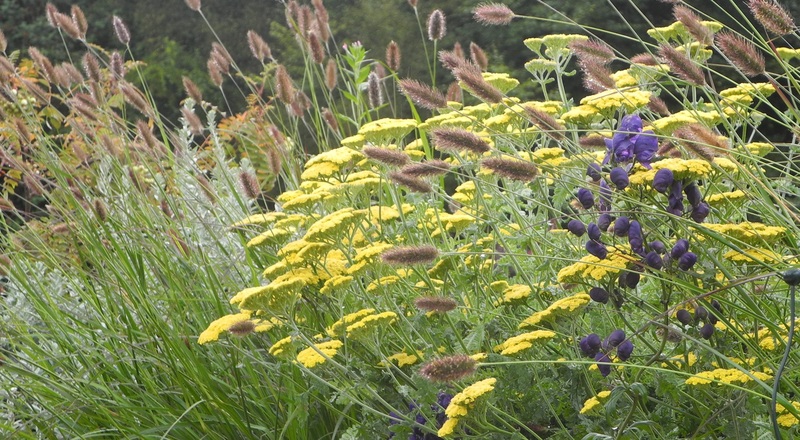 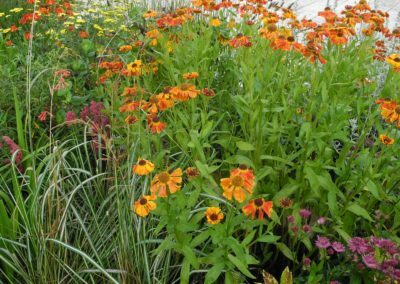 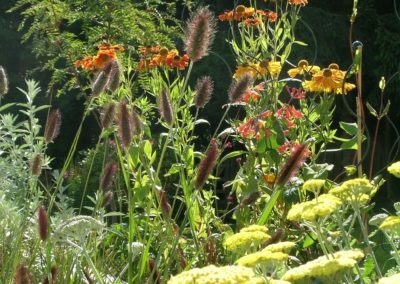 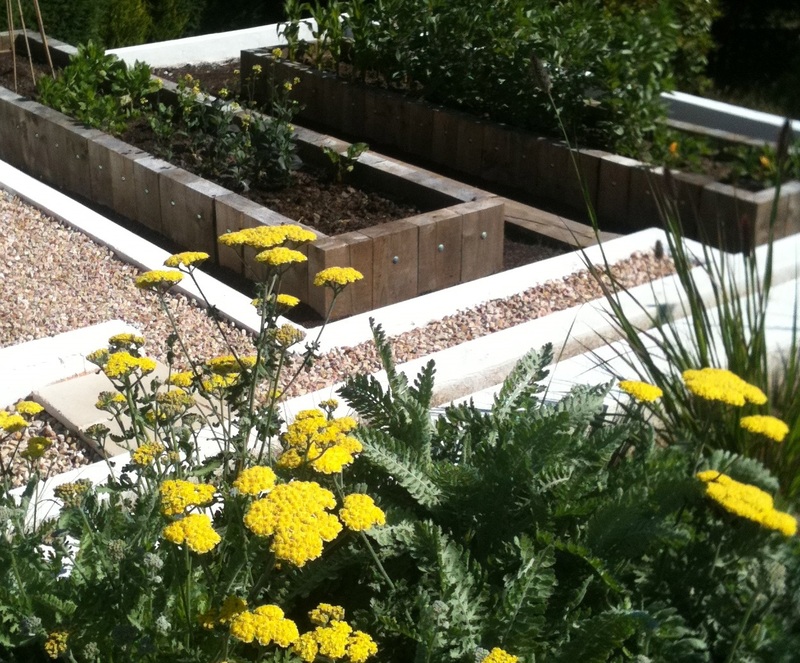 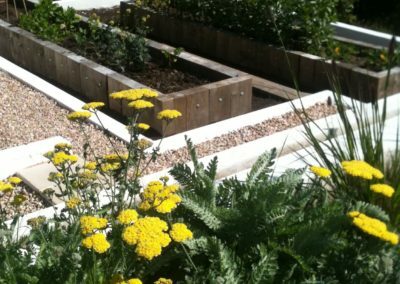 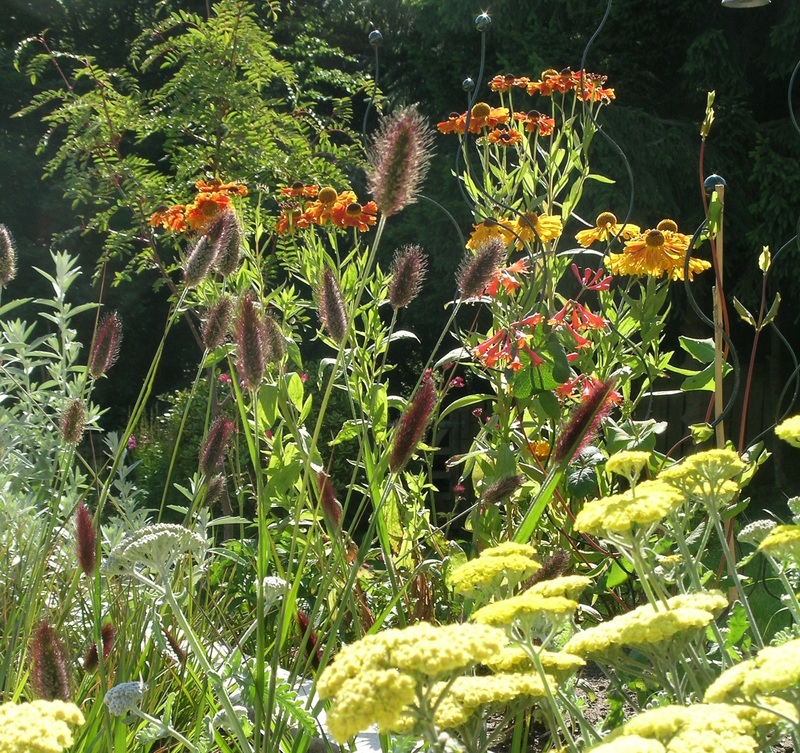 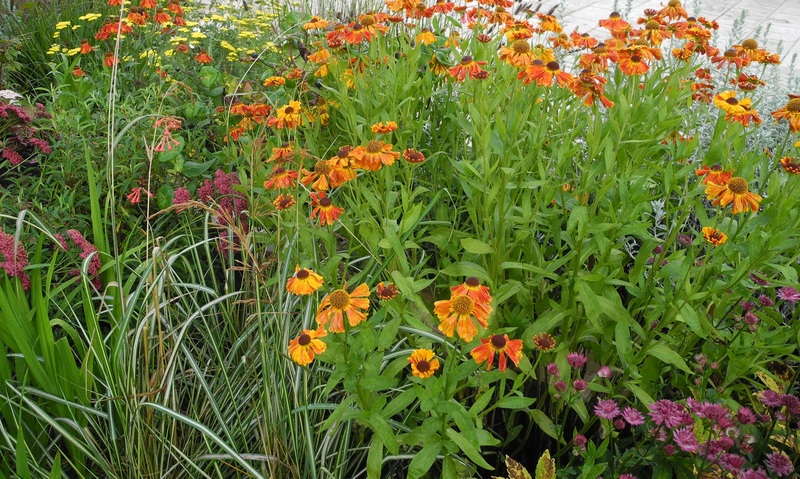 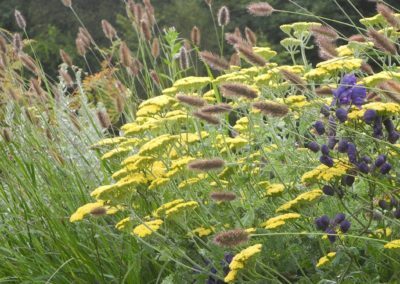 The central lawn and seating area is enclosed by raised beds with mixed perennial planting, including Salvia, Helenium, Achillea and Pennisetum.